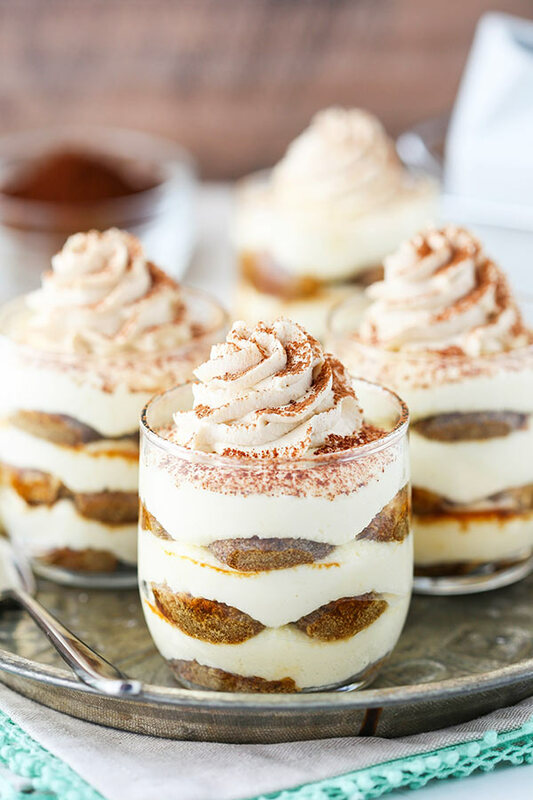 Mini Tiramisu Trifles Recipe | Tiramisu + Trifle in One Dessert! 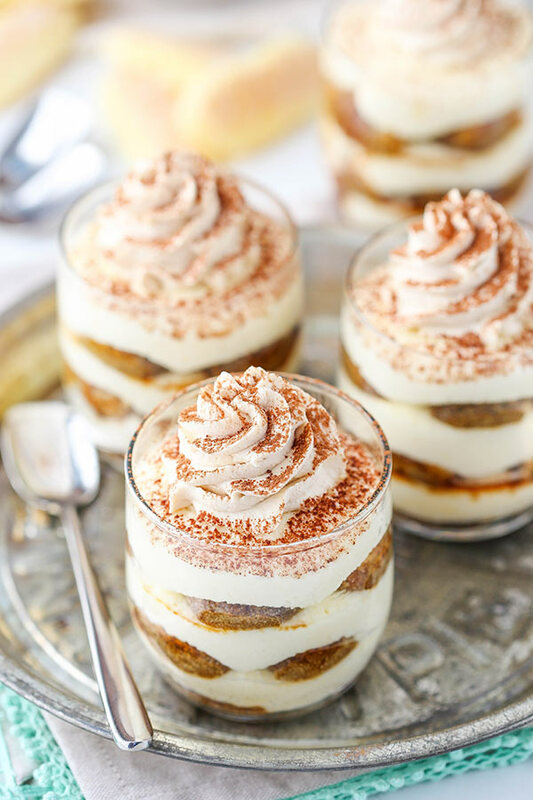 These Mini Tiramisu Trifles are super easy to put together and have a layer of mascarpone cheese, ladyfingers and espresso! They are delicious and and a fun, quick way to enjoy one of my favorite trifle recipes! In December we were actually considering moving to a new home not too far away. Same general area, but with more office space for me. The equipment I have for this blog just seems to grow, especially as I work to create more video content (and stock up on cake stands 😉 ). The biggest challenge in finding a new home was finding a similar amount of windows and sunlight, as well as a home that faced the general direction of the sun. Most homes we looked at were eliminated purely because of sunlight and direction. So ridiculous, right? Part of the reason we didn’t move forward with a house was that the home we loved and would have build didn’t have a good lot option with good sunlight. We could either have the sunlight I wanted, or the lot that would really be a better purchase. The whole thing made me realize just how perfect our house is set up for good light. I love my windows! They are exactly where I need them. 🙂 I guess we’ll stay put and I’ll just take over another room – ha! 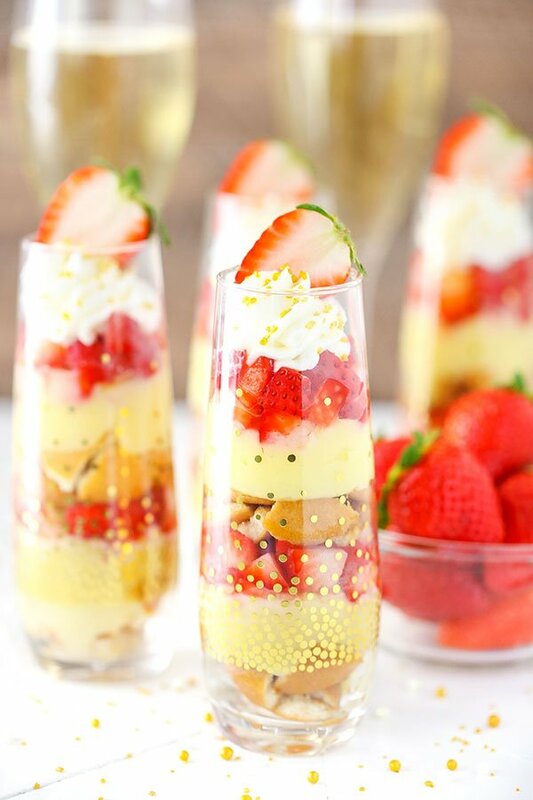 After all, I need space so I can make you trifles like these! 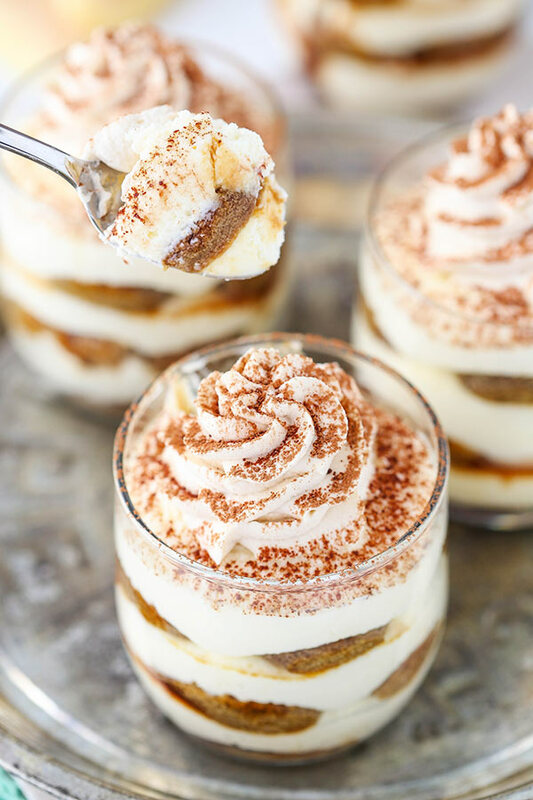 These trifles are super easy to make and even easier to eat. The hard part is not eating them all yourself in one sitting. 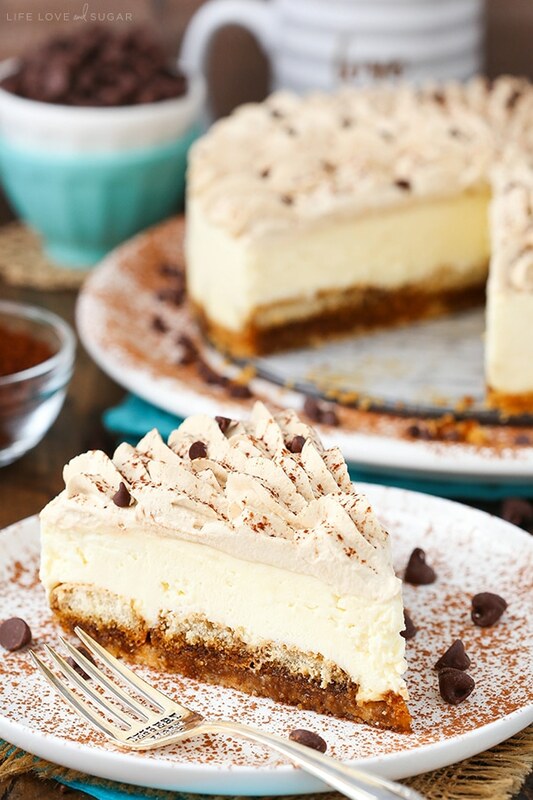 The mascarpone layer is just a few ingredients. A little sugar is mixed into the mascarpone to sweeten it up a bit. I used my mixer, but mascarpone cheese is generally fairly soft, even when cold. It’s pretty easy to mix, so just combine the cheese and sugar however you prefer. Be sure not to over mix them though, as mascarpone cheese can break down and become really soft and almost watery when over mixed. Added to the mascarpone cheese is some whipped cream, which lightens in up perfectly. The ladyfingers I used are the softer ones you typically find at a grocery store. I love the more traditional firm ladyfingers, but I wanted these trifles to be a little simpler. With the firm ladyfingers, they’re usually thicker and take longer to soften. The ones I used this time make more manageable (less thick) layers and you can eat them more quickly because there’s no wait time for softening. Score! The trifles are topped with some whipped cream and a sprinkle of cocoa. 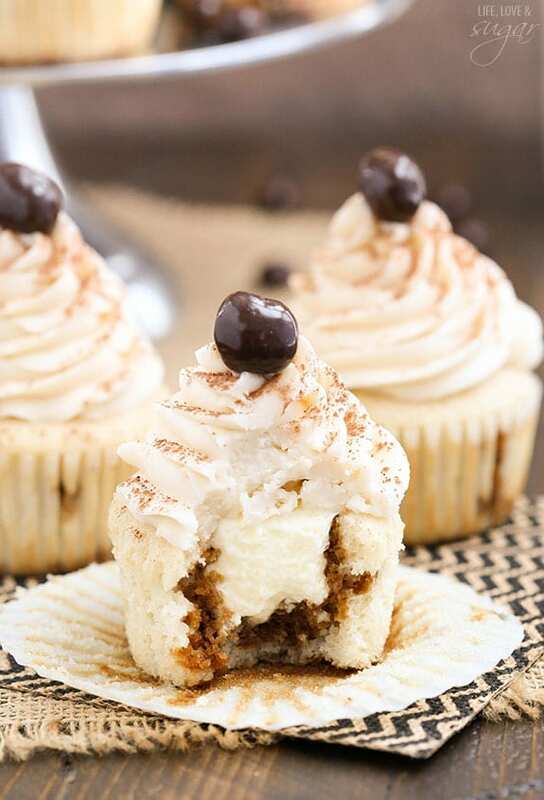 I did use Kahlua in the whipped cream (I just couldn’t resist!) but you could swap it out for a little vanilla extract or something if you want. 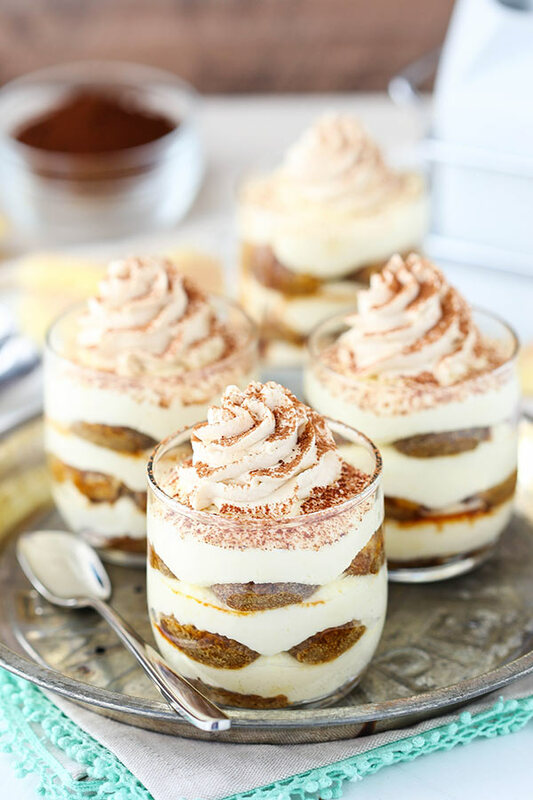 Either way, these trifles are light, easy to make, delicious and perfect for sharing! 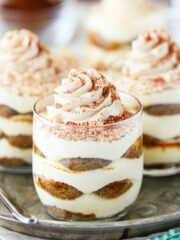 Mini Tiramisu Trifles with a layer of mascarpone cheese, ladyfingers and espresso! 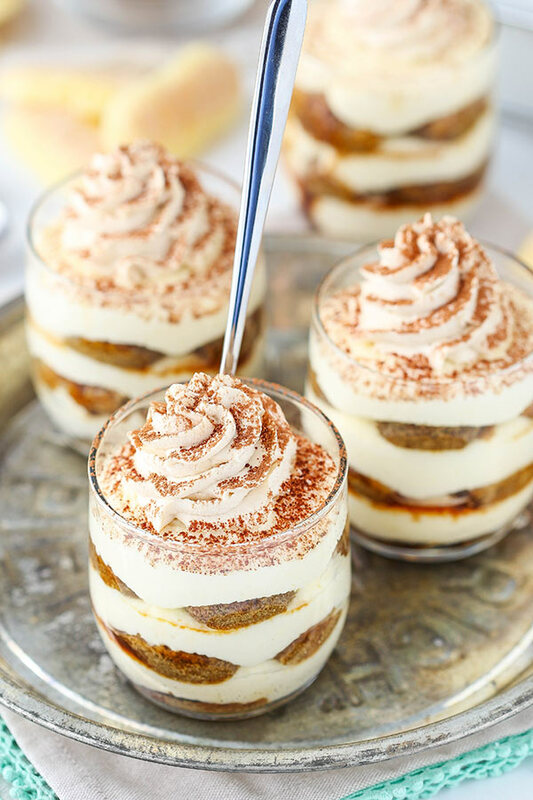 A delicious, easy & fun way to enjoy tiramisu & trifle at the same time! 1. Mix mascarpone cheese and sugar together until combined. Do not over mix or the mascarpone cheese can thin out. Set aside. 2. In another bowl, add the heavy whipping cream, powdered sugar and vanilla extract and whip until stiff peaks form. 3. Carefully fold the whipped cream into the mascarpone cheese mixture. Set aside. 4. In another bowl, combine the hot water, espresso powder and sugar. 5. 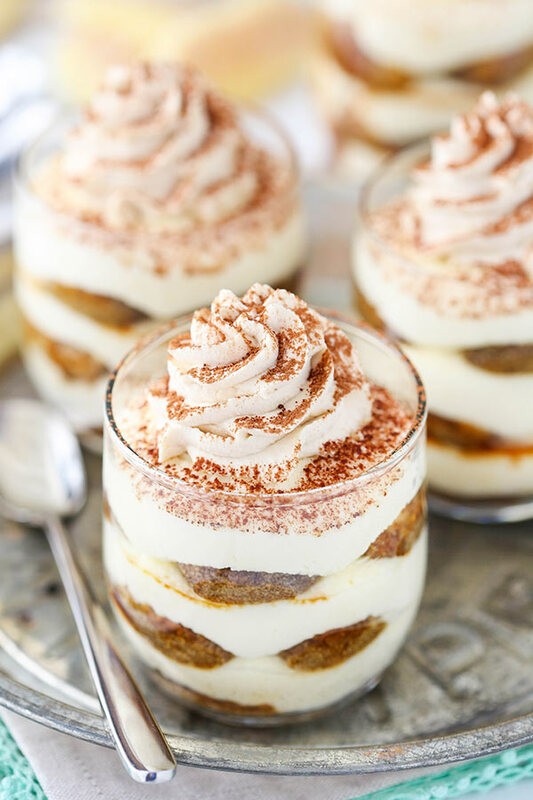 To layer the trifles, dip the ladyfingers into the espresso mixture one at a time and place into the bottom of the trifle cup. Use two to three ladyfingers and break into pieces as needed so they fit in the cup and create a full layer. 6. Pipe or spoon a layer of mascarpone filling on top of the ladyfingers. 7. Repeat another layer of ladyfingers and mascarpone filling. 8. After completing the trifles, make the whipped cream. 9. Add the heavy whipping cream, powdered sugar and kahlua to a large mixer bowl and whip until stiff peaks form. 10. Pipe a swirl of whipped cream on top of each trifle, then sprinkle with cocoa powder, if desired. 11. Refrigerate trifles until ready to serve. Trifles are best for 2-3 days. 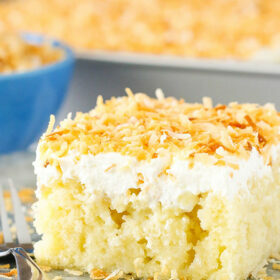 * I used the softer more cake-like ladyfingers in these trifles, as opposed to the more traditional hard ladyfingers. 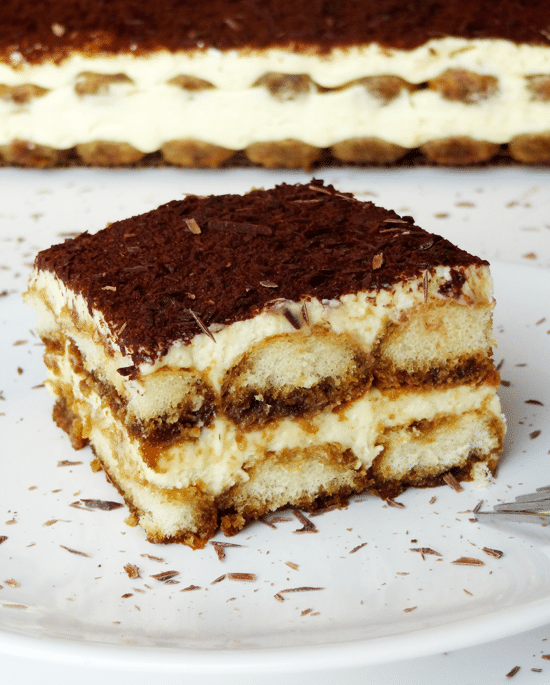 Oh boy, do I love Tiramisu! It doesn’t matter if it’s in cheesecake form, traditional form, with fruit or in little trifles! Thanks for the recipe. Can you tell me where you got those adorable little trifle cups, please? Oh wow! These look so amazing! 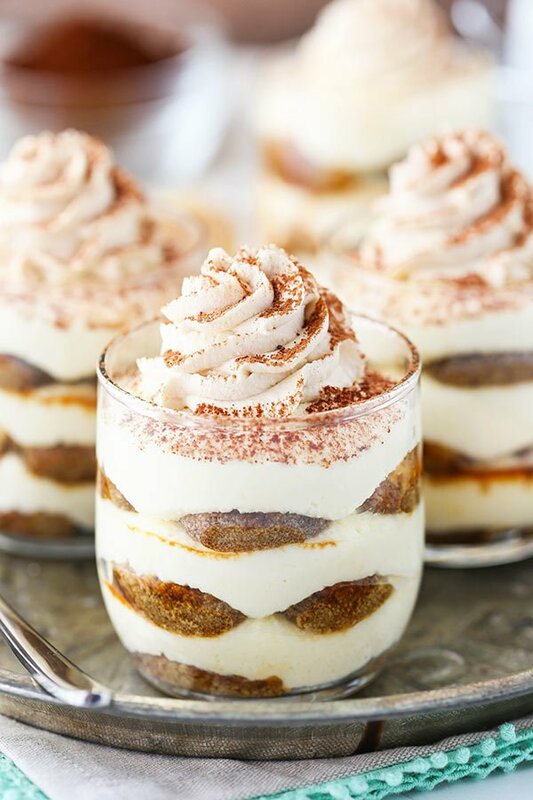 I love tiramisu desserts! 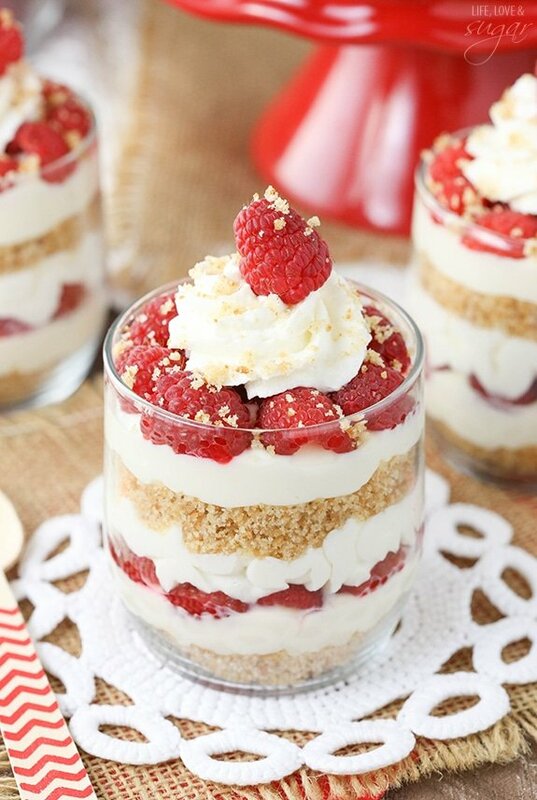 Making trifles is such a great idea! Regular coffee wouldn’t be as strong, but if you prefer it you can certainly try it. This dessert is sooo beautiful! I’ve shared this in my blog, with a link to your recipe. Thanks for the delicious things you share with us! If using kahlua, do you use it in place of the 3/4c water for dissolving the espresso powder? Thank you! Depends on how strong you want the Kahlua flavor to be. You could definitely replace all of it, or just half of it. I’ve done both. You can also leave out the sugar when using the Kahlua. What brand ladyfingers did you use? And where did you buy them from? I use these and they are easy to get on Amazon. Whoops, just realized that’s incorrect. I used the soft ones for these. I got them in the bakery section of my grocery store. If you can’t find those though, the ones on Amazon will work. They’re just the firmer lady fingers. 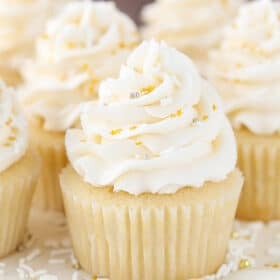 can I make these a day ahead of serving them?